Safari in Kenya - Every Day! How do you fall in love with a country? The easiest way is to spend time there. Our Travel Consultant Sonja Schröder was born in southern Sudan but grew up in Kenya. Her adopted country has become her favorite travel destination. Today she shares why. 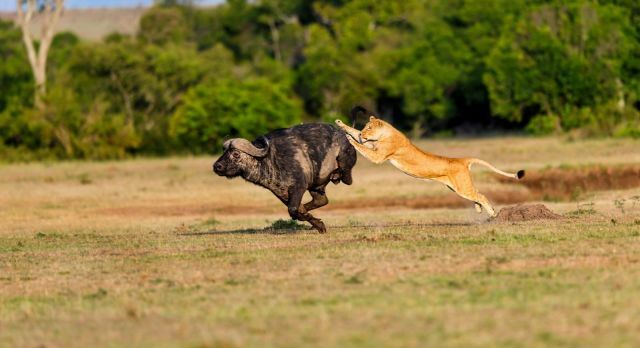 As a nature and animal lover, I find Kenya to be the most exciting country in the world! 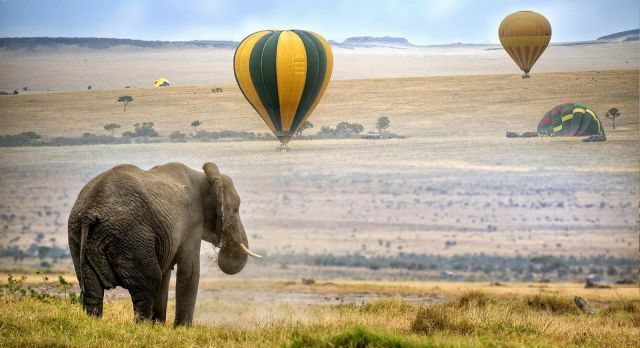 Whether it is up close during a bushwalk, or a bird’s eye sighting during a balloon ride – wildlife viewing on Kenya safaris is terrific, and I honestly feel like the possibilities are limitless. Every safari in Kenya is different, particularly with such an attractive and varied landscape that continues to enchant me. Add in a few days on one of Kenya’s best beaches along the coast during the year, and I’m in seventh heaven! What I love about Kenya is the surprise of constantly finding out about amazing luxury lodges, often in the middle of nowhere. There are wonderfully soft beds to curl up in, under the open starlit sky, excellent cuisine in the midst of absolute wilderness, and the Gin & Tonics – my sundowner of choice – by the crackling campfires. I feel that Kenya hoteliers always know how to offer guests something special. I love the endless expanse of the Masai Mara. I’m biased, I know, but I feel nowhere else can provide such wonderful wildlife viewing. 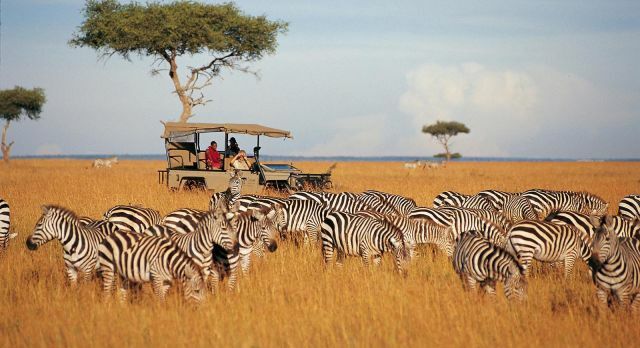 Connected with the wonderful Serengeti National Park in Tanzania, this is one of Kenya’s richest wildlife areas. 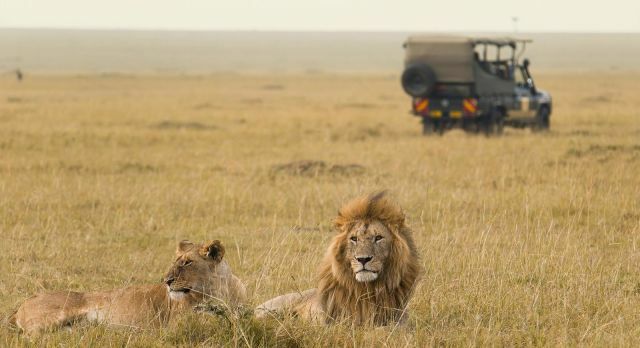 The park is a true classic for a safari in Kenya as well as special safari locations in all of Africa. Travel Tip: Go fly camping! A fly camp is an exclusive tent built just for you in the midst of the wilderness, with a ranger on-hand to ensure your safety. If you wish to experience goose bumps, this is the way to do it! 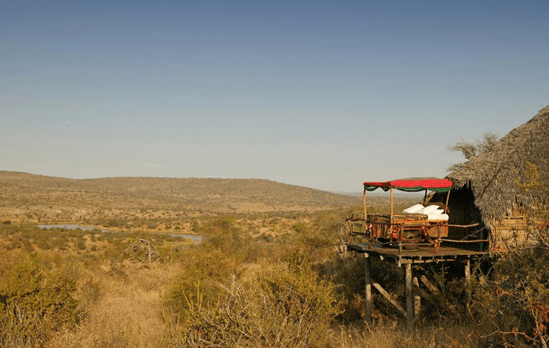 Accommodation: The Mara Ngenche is a luxury tented camp overlooking the vast savannah! 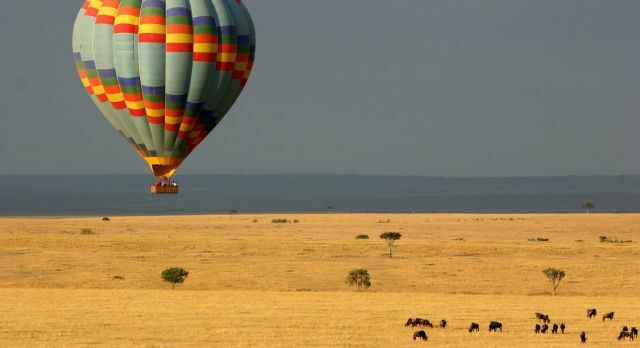 A balloon flight is a real adventure anywhere in the world, but not so much as during your African safari. When the savannah spreads out under you, with its endless wildebeest and zebra herds, you get the opportunity to feel like a true explorer! The sparsely populated Laikipia is a romantic retreat, and home to huge crop and livestock farms. Ethnic peoples have teamed up with the local farmers to provide a sanctuary for nature. Corn fields alternate with rugged bush and grazing areas for cattle and sheep. The region is also home to a large elephant population. 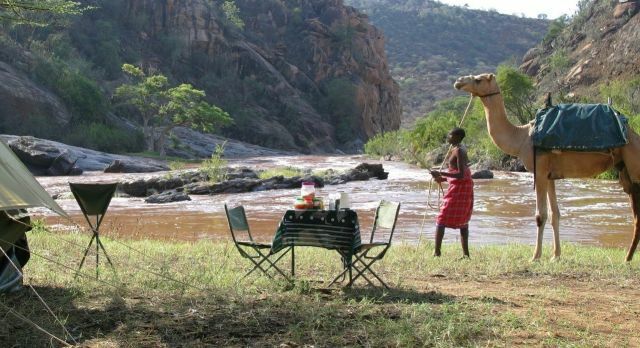 Definitely go camel trekking in Laikipia! My ride on this gentle desert animal is one I will definitely never forget. 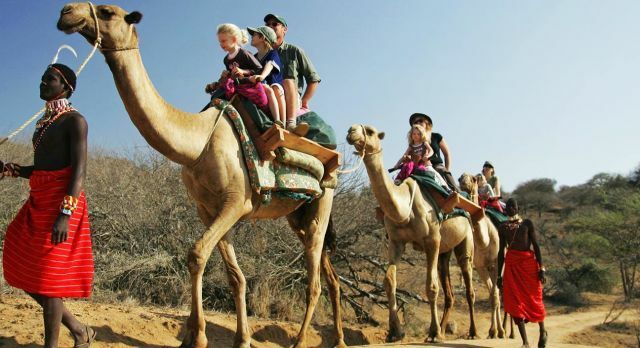 A camel safari in Kenya is a wonderful experience for the whole family. There is nothing as special as going to sleep with the endless starry skies of Africa overhead. 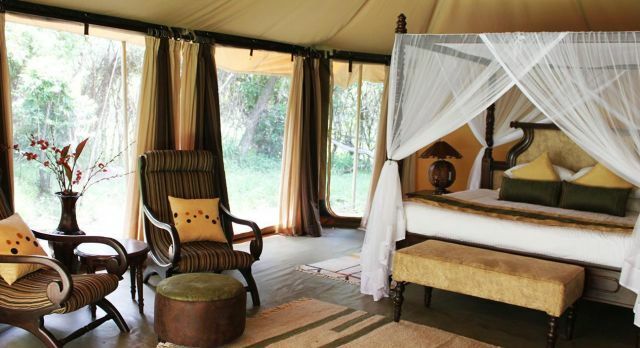 The luxurious starbeds of exclusive Sabuk Camp invoke a boundless freedom whilst you dream! Built into the side of a cliff, some of the rooms have verandahs with the starbeds on them, allowing for evening stargazing. To reach the remote wilderness of Shaba Game Reserve, you embark on an adventure through impressive landscapes and rugged volcanic formations. Once you are there, an incredible array of unique and rare nature in the open savannah are there to welcome you. I thought I knew what a royal breakfast was. I was wrong. 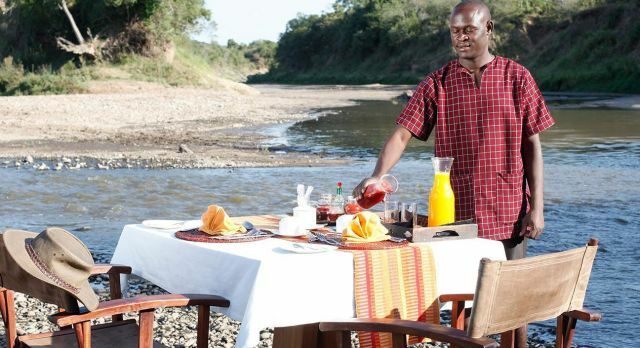 Tucking into an al fresco riverside breakfast and watching an elephant family enjoying their morning bath takes on a regality only known to the few lucky enough to go on an African safari in Masai Mara. The long 25km stretch of wide, almost snow-white, gently sloping beach of Diani is magical, particularly as it is coupled with the turquoise waters of the Indian Ocean. For me, Diani Beach is an oasis of relaxation! A dhow is the traditional single-sailed boat, which is used in the waters along the East African coast. It’s the perfect vessel to sail off into the sunset to enjoy a glass of champagne and, with a little luck, spot some dolphins! If you wish to experience optimum wildlife and weather, make sure you choose your travel months carefully. The best time to visit Kenya is from December to March, or in the months of June to October. Let us help you plan your dream Kenya vacation today!